Originally constituted in London in 1949 as "The Presidents' Assembly" it was later renamed "Federation of Swiss Societies in the United Kingdom" at the Annual General Meeting of 5 th October 1965. 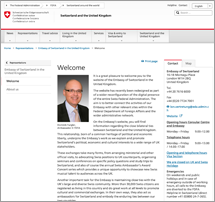 The Federation of Swiss Societies in the United Kingdom, simply known as FOSSUK, is a voluntary, non-profit making, non-party political Organisation of a co-coordinating and interactive nature. FOSSUK and its constituent Societies, Clubs and Institutions, henceforth called Corporate Members, fall within the general guidelines of the Bern-based Organisation of the Swiss Abroad (OSA). SwissCommunity is a free, high-quality platform exclusively serving the Swiss who have been, are, or will be resident abroad. 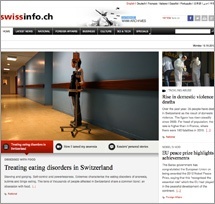 It is a “club” for international Switzerland, designed and tailored to meet the needs of Swiss people worldwide. 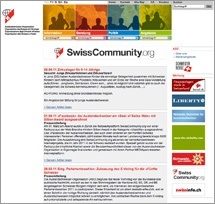 Join SwissCommunity and build up your contacts and links with the Swiss diaspora all over the world, and with Switzerland itself. You will also enjoy an extensive catalogue of offers and services. SwissCommunity is just like you: unique! The OSA is supported by some 750 Swiss expatriates' associations and Swiss institutions all over the world. It was founded in 1916 and is recognised by the authorities as the representative organ of the Fifth Switzerland. Information and advice on all types of legal, social security insurance and training matters are also provided by the OSA as well as the magazine "Swiss Review" and a wide variety of activities for young Swiss abroad. Text can be viewed in English. Soliswiss, which is completely free of charge, neutral and independent, provides advice and support when it comes to choosing health insurance, a pension plan, international liability insurance. We also offer checking account and wealth management services.